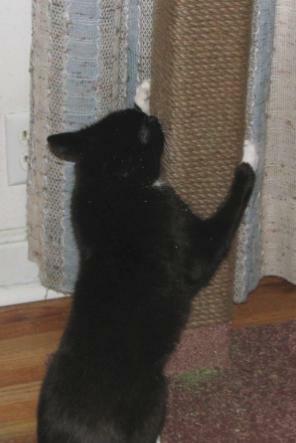 Every morning Cuddles wakes up and runs to her scratching post to stretch and scratch. Her claws are often sharp and in need of good vigorous scratching. This morning routine is her “me” time. She enjoys that the scratching post belongs to her alone. Never would her humans Linda and Allen, the bird Sunshine, or “that dog” as she refers to Leaf, scratch her post. All has been good in Cuddles’s world except that the post was falling apart from her enthusiastic and forceful daily scratching. It was time for a new one. 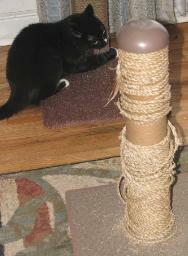 Her two humans went on a journey to the pet supply store and examined a dozen scratching posts. 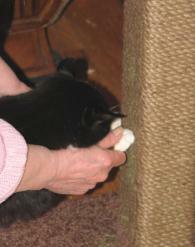 We had lengthy discussions as we attempted to think how Cuddles would view the different styles of scratching posts. An impossible task. 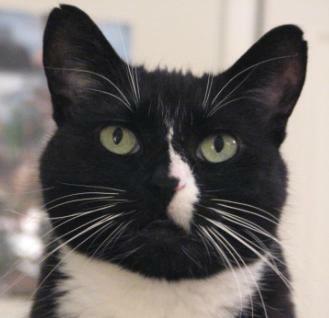 Who can figure out what a cat is thinking? We finally decided on one that had the long length and the sturdiness we thought Cuddles would enjoy. She embraced her new post with vigor, gratitude, and love. 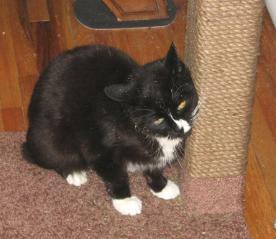 Visit http://www.angelanimals.net/nlimage127.html to see Cuddles with her new scratching post. 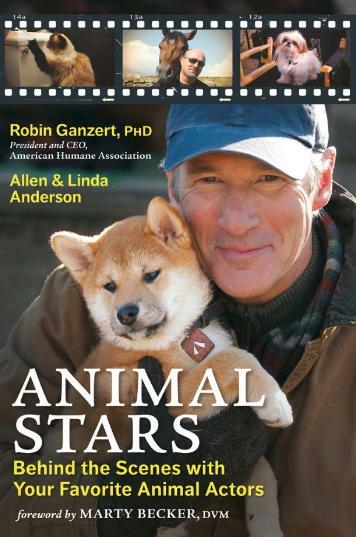 We are thrilled to announce that the new book we co-authored with Robin Ganzert, PhD, president and CEO of American Humane Association, is available for a special presale offer. ANIMAL STARS: Behind the Scenes with Your Favorite Animal Actors is being published by New World Library. Visit the website, view the book trailer, and get details about the presale gift offer at http://www.animalstarsbook.com. ANIMAL STARS includes fascinating true stories from world-class animal trainers who train dogs, cats, horses, bears, birds, and a wide variety of animals to star in movies, television, and commercials. It’s truly a behind-the scenes look at how animals are trained, cared for, loved, and protected. And guess what? Julia Roberts, Steven Spielberg, Ewan McGregor, Hailee Steinfeld, and Angie Everhart contributed stories to the book about their exciting experiences with animal actors! The book has photos of all those world famous celebrities plus Robert DeNiro with animals who won their hearts. Dr. Marty Becker, DVM, official veterinarian for the DR. OZ show and best-selling author, wrote the foreword for the book. About this time last year, we went to the Los Angeles area to meet the animals and interview trainers whose stories are in this book. Photos from the trip show us getting to know Finder, who played Joey in the movie WAR HORSE and Crystal, the monkey who stars in the NIGHT AT THE MUSEUM movies. Writing the book and getting to know Robin and more about American Humane Association’s outstanding mission of advocating for animals in film and television has been a highlight for us. 2. Keep a proof of purchase such as a paper receipt and make a photo of it as a jpg file. 3. Email the jpg image of your proof of purchase BY AUGUST 30, 2014 to <jilln@americanhumane.org> and let her know which gift you want an animal-themed coffee mug or tote bag — and your post-mail details. A portion of the proceeds for this book benefit animals around the world, so order your copy of Animal Stars today! Thanks for your continued support of American Humane Association — the voice for children and animals. We are compiling letters, emails, and comments about Leaf for a special writing project. 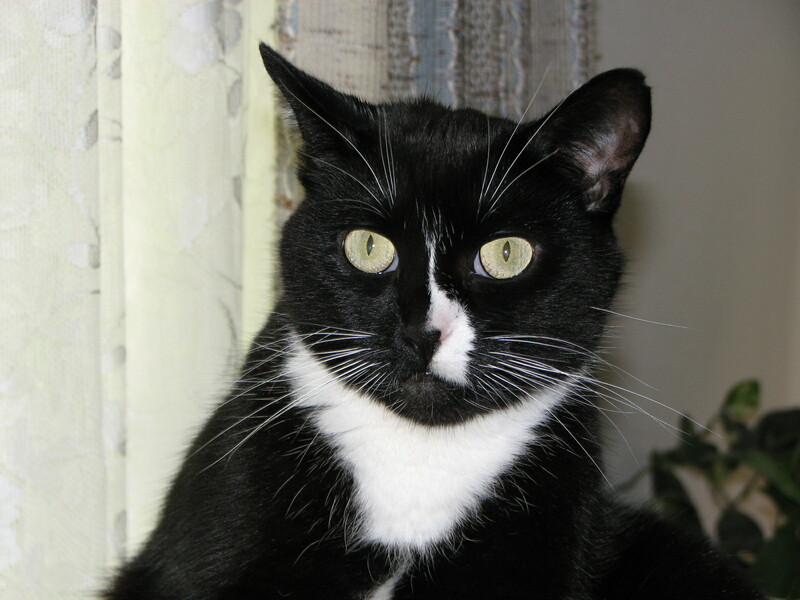 Since we adopted Leaf from the animal shelter on October 7, 2006, we have consistently written about him in the Angel Animals Story of the Week, on Facebook, and in our blogs. Many of you have been part of his journey from the beginning. He entered as an abandoned, frightened dog, attempting to live in a home with two cats, a bird, and two humans who grieved over the death of their beloved yellow Lab, Taylor, only months earlier. 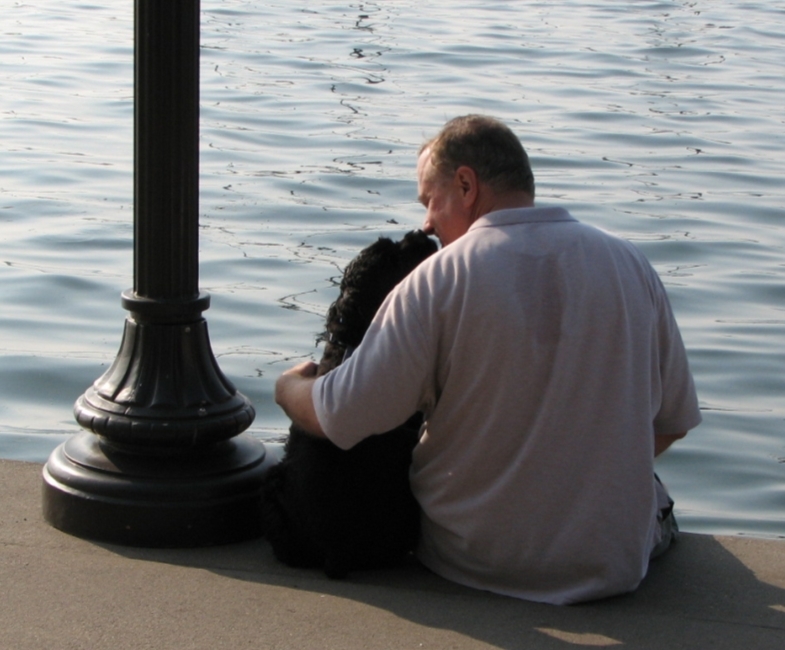 We’d love to hear from all of you who have followed Leaf through such things as dog park, doggie daycare, panic attacks, fear of strangers, animal communicators, learning to live with cats, being the first cocker spaniel to run for President, and growing into trust and love. What are your impressions of Leaf? What are your thoughts about him and his journey? Please send letters to angelanimals@aol.com or even better, post your comments on Leaf’s Facebook page for everyone to read. We would greatly appreciate hearing from you in regard to Leaf and how he might have helped you remember your own journeys with animals.